A very hardy fish which gets fairly large. 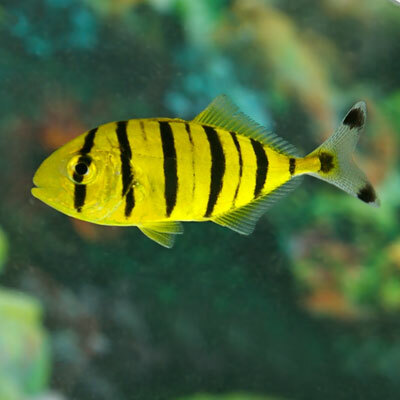 It is an aggressive feeder, and will consistently swim back and forth in the tank; therfore, it needs a large tank. You can keep them in groups, as they will actually school together in the tank. Because of their size and the need to swim, they do better in FO with a lot of open room and other aggressive fish.